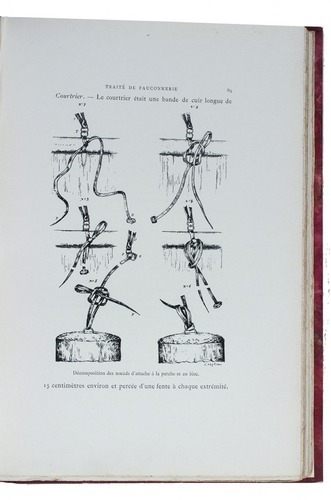 Traité de fauconnerie et d'autourserie suivi d'une étude sur la pêche au cormoran. 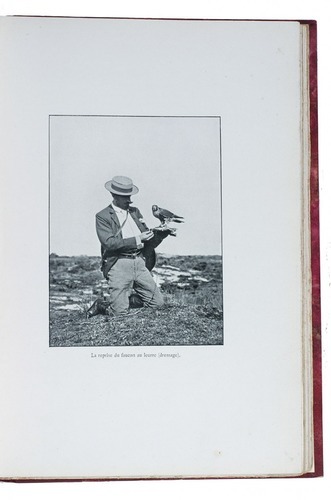 Évreux, Charles Hérissey, 1903. 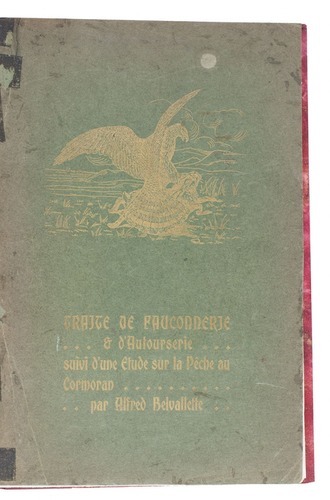 Large 8vo (28.5 x 21.5 cm). 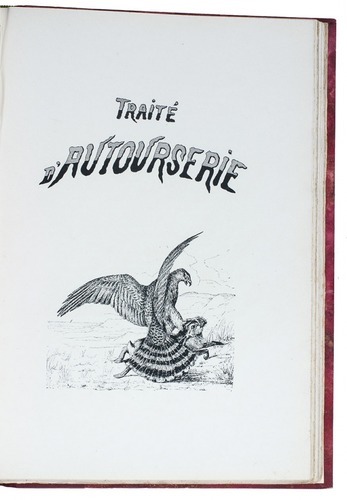 With 35 plates and numerous illustrations in text. 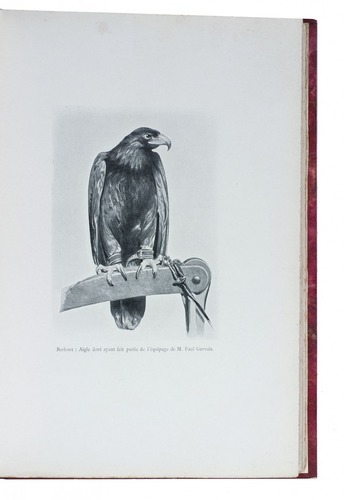 Modern red half sheepskin, with the original publisher's printed wrappers bound in. 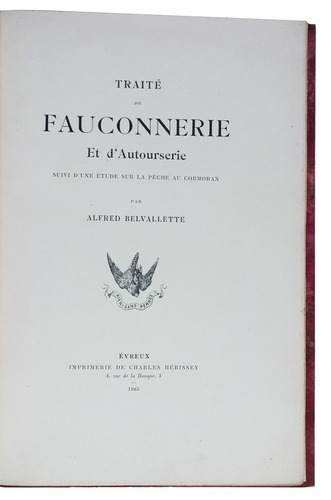 Rare first and only edition of a work on falconry, followed by a short treatise on cormorant fishing by Alfred Belvallette, "well known in France as a skilful falconer, and he writes with a thorough knowledge of his subject… French falconers apply the term fauconnerie only to flights with the long-winged hawks (Peregrine, Merlin, Hobby, and Jerfalcon), flights with the short-winged Goshawk (autor) and Sparrow-hawk (épervier) coming under the expressive and very convenient term autourserie" (Bibl. accipitraria). 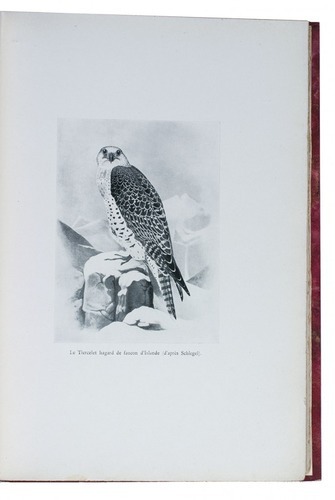 The work partly contains original illustrations, including many photographs of falconers in action, but also copies of Schlegel and others. With only a couple spots, otherwise in very good condition. Thiebaud, p. 66; WorldCat (9 copies); cf. Bibl. accipitraria 219.